Hi, my name is Hibiki and I’m doing an internship at Evergreen Outdoor Center in Hakuba. 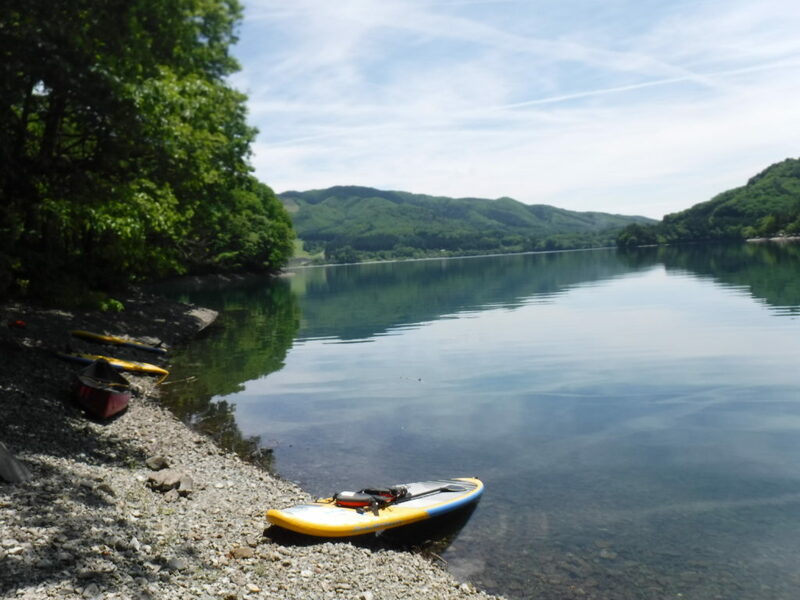 Today, I prepared for the kayak and canoe tours with the Evergreen’s lake tour guides at Lake Aoki. The main purpose for the day was to clean up the break point and fix the stairs at the break point. We cleaned up fallen leaves and branches on the break point. Participants of the lake tours may wear water shoes which tend to have thin soles, so their feet might get hurt on sticks and sharp rocks at the break point. We cleaned it up to mitigate those risks. Also, we fixed the stairs at the break point and installed a rope as a handrail. We hope customers can climb up to the break point safely and without too much effort, so we cleaned up and maintained the break point area. We found some Japanese sumac trees around the break point. We don’t want customers to get poison ivy on them by those trees, so we cut out the Japanese sumac trees around the break point. Lake Aoki is fed by melted snow and spring water, so it is really clear and has a beautiful blue color. If you are lucky and the weather is great, you can see and enjoy the stunning beauty of the clear waters and lush green trees at Lake Aoki. During the maintenance of the break point, the guide, Mitsu, found a rare plant. 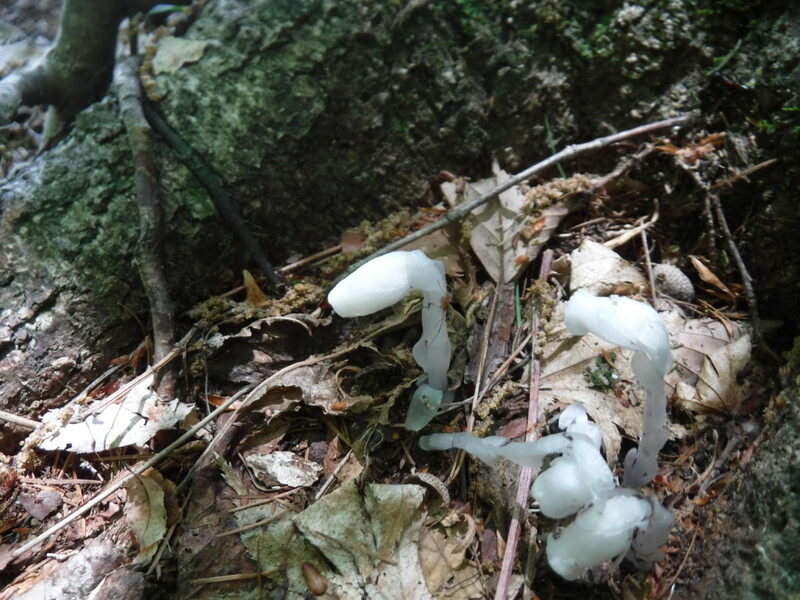 This plant looks like a mushroom, but it is Monotropastrum humile (species of saprophytic plant). This plant doesn’t have a chloroplast, so it isn’t capable of photosynthesis. They get nutrients from fungus that lives on their roots. You can find Monotropastrum humile from the beginning of June to the beginning of July, so you might be able to see them at the break point during the Evergreen’s lake tours!!! Evergreen offers canoeing, kayaking, canoes picnic, SUP(Stand Up Paddleboard) and firefly canoe tours at Lake Aoki, and we are now accepting reservations!! Evergreen also offers canyoning and MTB tours in spring and summer, so if you are more active, you can participate in those exciting activities!! If you are interested in any Evergreen’s tours, please check the link below! !